Slovenia totally captivated me when I visited last summer for a week. The endless mountains, all shades of green and the relaxed atmosphere in the country had my heart stolen. My expectations where not only met but exceeded. 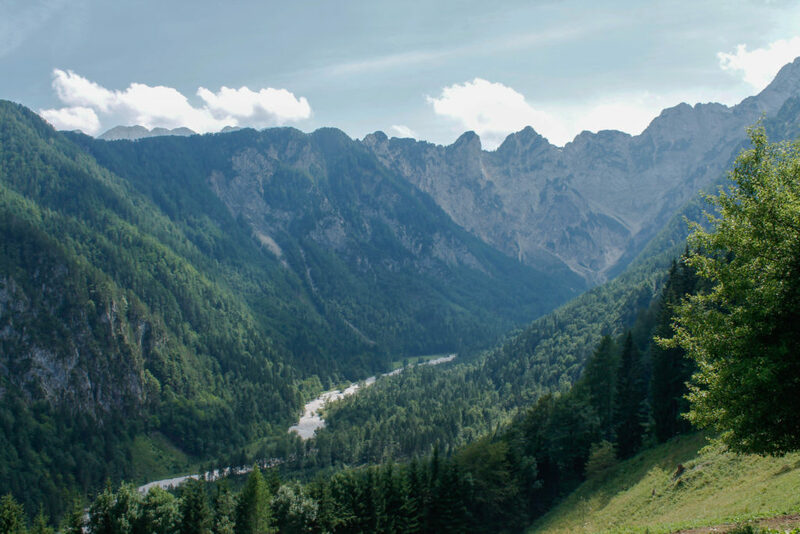 If Slovenia is still not on your radar it should totally be. 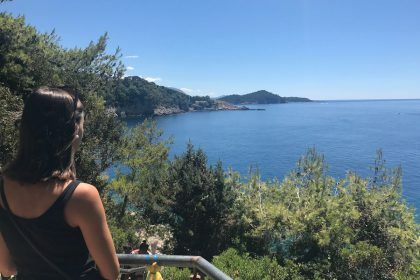 Here’s my best advise on how to build the perfect one week itinerary in Slovenia, where to go and all the information you might need to plan it. The capital of Slovenia is Ljjubljana in the centre of the country, making it the main point of contact with highways. The language spoken is Slovenian. 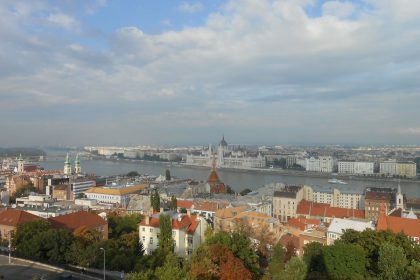 I did not have any problem communicating in English around the capital and all b&b’s /hotels I stayed at. I found friendly people and even in the countryside when I got lost due to roadworks, finding out where to go with signs and broken languages was not a tedious experience. The currency they use are Euros. There were ATM’s around the main towns and I had no problem paying with credit card in some restaurants or hotels. Ljubljana has an international airport, Ljubljana Jože Pučnik Airport, located half an hour outside of Slovenia’s capital. There are different airlines flying in from Europe. If you are like me and can’t find flights from your hometown (Barcelona) to Slovenia, don’t worry! There are other options. 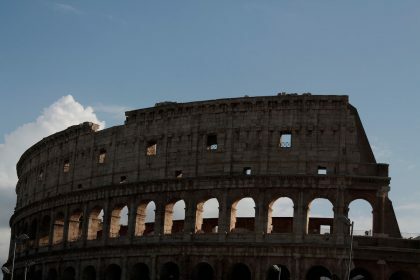 Fly to Venice or Trieste and rent a car there. If you are going to be flying out from there as well it makes sense. You will need to tell your renting company for insurance purposes that you plan to go to another country. To start this one week itinerary in Slovenia ideally you want to arrive the night before so once you wake up you have all day to explore the city. Aim to leave your accommodation before 9 to have time to visit the beautiful city. 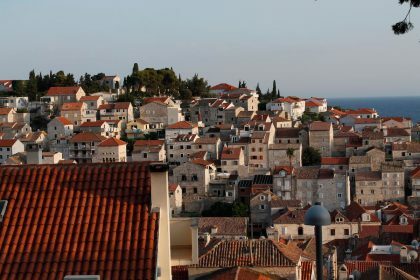 It is a charming but small capital that can be walked if you are up for the game. 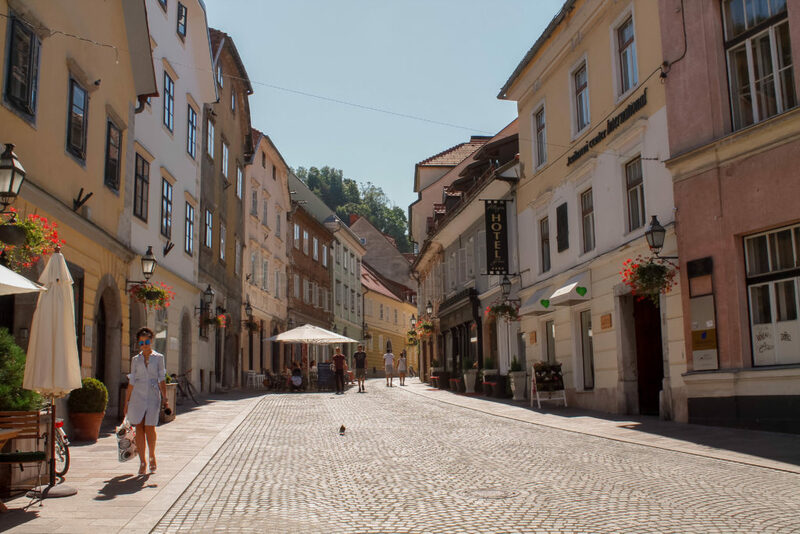 Learn the story of why Ljubljana is the city of dragons before you start exploring: it will make the day more interesting! 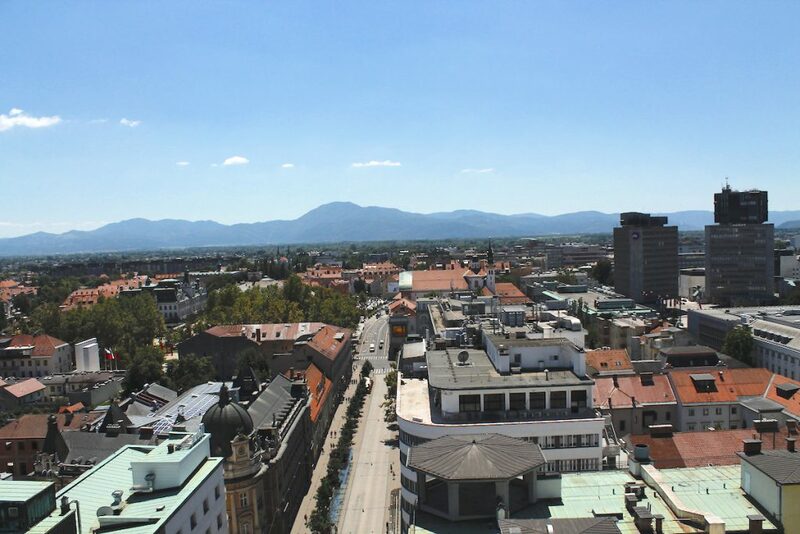 Things to do: Discover the capital Ljubljana and check out the artistic side of the city. Where to stay: If you want a centric and cool looking hostel this one’s for you. Drive from Ljubljana to Lake Bohinj taking the 403. If you have time stop at Skofja Loka and stroll the old town. 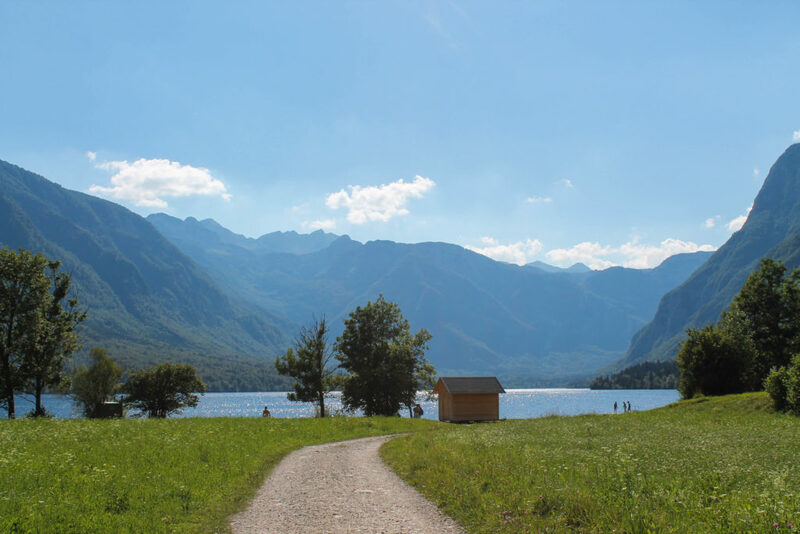 On arrival to Lake Bohinj your breath will be taken away. Lake Bohinj is an alpine lake surrounded by alpine peaks and the scenery around is spectacular. If you are a mountain person like me, I can assure you it will be one of your favourite visited places yet! 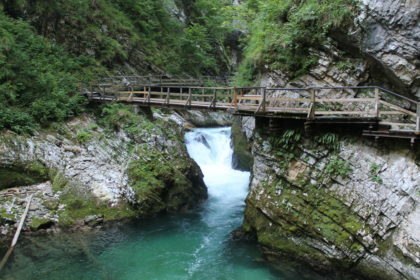 Things to do: Al the activities that you can fit in a day at Lake Bohinj. Where to stay: Rural guesthouse with basic facilities and amazing views. For the third day of this epic one week itinerary in Slovenia drive to Lake Bled. This lake was made for fairy tales and everything around it and on it has that princess in castles appeal. 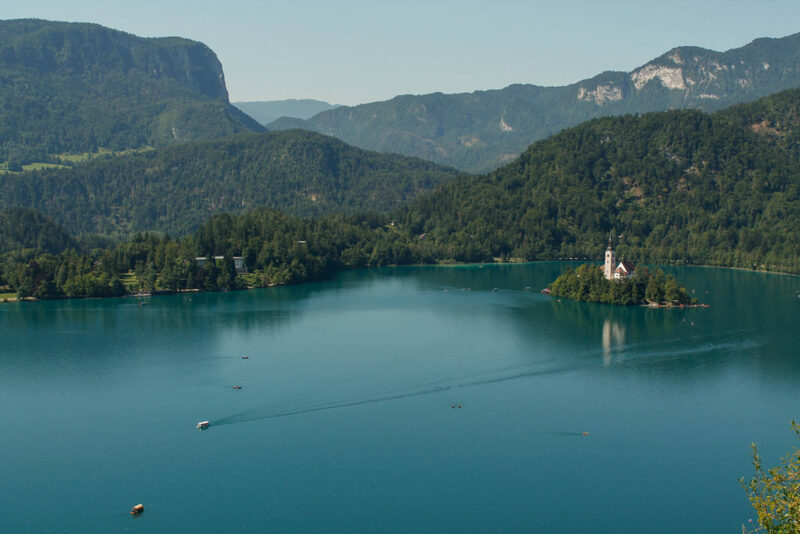 From a castle with amazing viewpoints of the lake to the church in the island on the lake – lake Bled has activities for the whole family, for couples and groups of friends! Things to do: 7 reasons to not go to this lake. 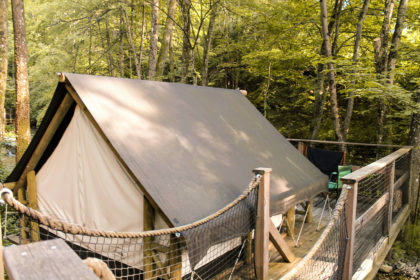 Where to stay: Chose from treehouses, glamping tents, pier tents and eco-friendly. Drive to the mountains touching Austria. 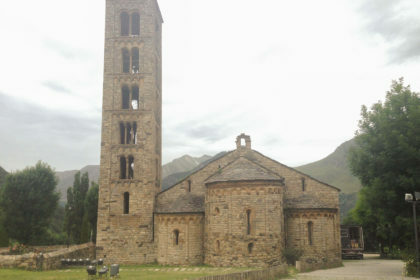 Here you will be able to follow different hiking trails and scenic roads. Make sure to stop at the different farms for viewpoints of the mountains and to try the local food. Things to do: Road trips and farm made typical food sound good? 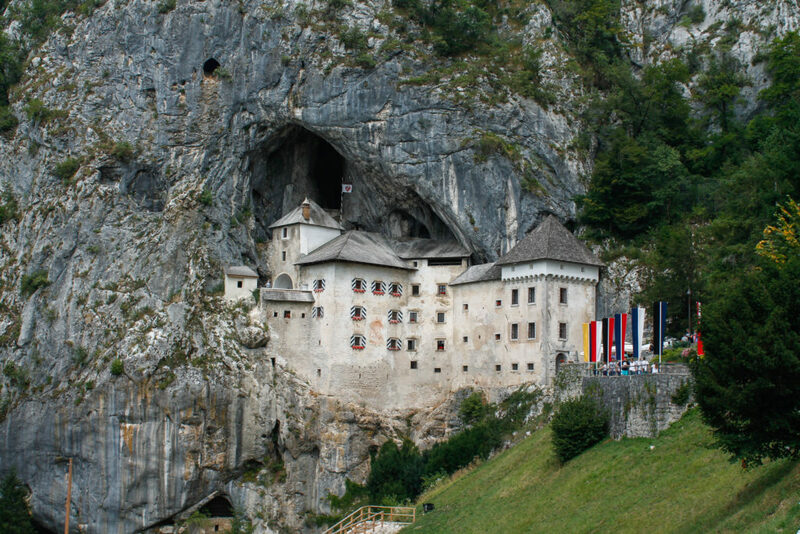 Rise nice and early and drive to Predjama castle for a guided tour of a hanging on a rock castle, get down on the UNESCO Solcava caves and wander the coastal town of Piran. Make sure to end the day with a good seafood delicatessen by the shore. 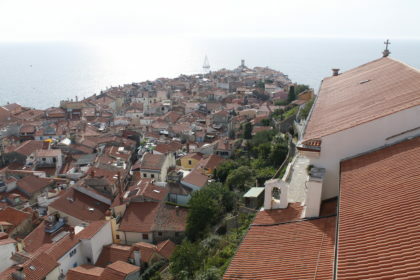 Things to do: Visit UNESCO caves and a hanging castle and feel the charm of the small coastal town of Piran. Where to stay: accommodation in Piran was quite expensive for the dates so I chose to stay outside, about 15 minutes driving. End your one week itinerary in Slovenia by returning your rental car and flying/taking the bus home or to your next destination. Want to know where I went next? Took two buses (that were delayed) and ended up in Dubrovnik. NOTE: you could use Ljubljana as your base, because everything is relatively close to the capital. I would suggest not doing so because you will spend more time than needed commuting and staying outside the capital is wonderful.